Since the company has been involved in some major news stories recently, it's possible you may have missed some other Facebook news. Over the last 24 hours, the most important news to involve Facebook is undoubtedly when California passed an important digital privacy bill on Thursday. Before that, the company changed its mind about letting cryptocurrencies advertise on the website with strict regulations. Facebook has been making huge headlines this week and has been getting a lot of attention. So much so, there have actually been a few breaking news stories you might've missed this week. To help you catch up, here are three important announcements Facebook has made in the last 24 hours. Facebook has actually made two announcements regarding the company's ad transparency over the last 24 hours. 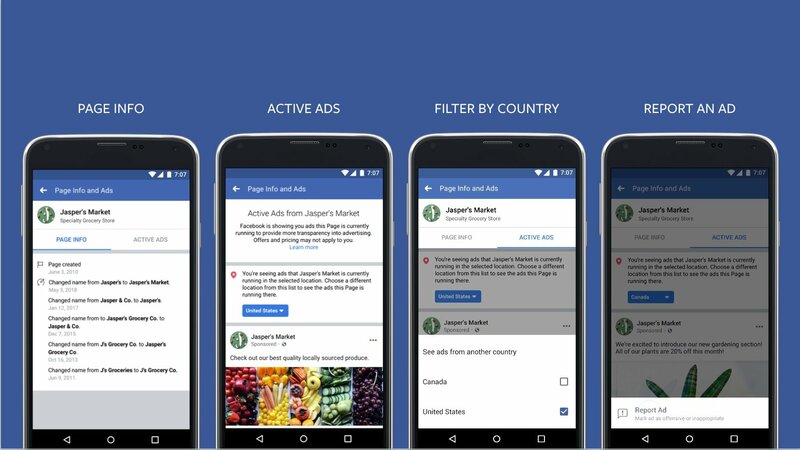 Ad transparency has been a big issue this week, and the company wants to capitalize on it by bringing more transparency to Facebook Pages. According to TechCrunch, a new section in "Pages" that'll allow users to bring up general information is being developed. Another page will also allow anyone to view active ads that are currently running. If users find ads that violate the website's policies, you will be able to report any problems to journalists via video conferencing. In addition to creating new pages, Facebook is doing more to review political ads, which have been experiencing some delays. The company is now accepting registration from political advertisers in Brazil. Facebook wants to archive these advertisements from the date they launch and the plan is to store them as far back as seven years. COO Sheryl Sandberg made it clear that the company's goal is simple transparency. Sandberg was also clear that Facebook has a lot more to do in regards to sharing more information through their ads, which is the purpose of these changes. However, these will just be the first few steps because the site is going to have to change a lot more about their ads.